A 39-year-old Mexican national who had been living in Bellevue was sentenced Monday in federal court in Boise to 46 months in prison for distribution of methamphetamine. A news release from the Idaho U.S. Attorney’s Office states that Esteban Villegas-Gamez was also given three years of “supervised release” in sentencing by U.S. District Judge Edward J. Lodge. According to Blaine County court records, Villegas-Gamez had been living in Blaine County since at least 2001. With the conviction, he will likely face deportation to Mexico. 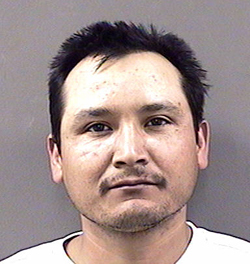 Villegas-Gamez was arrested in a raid at his home on Oak Street in Bellevue on March 20 in an investigation conducted by the federal Bureau of Alcohol, Tobacco, Firearms and Explosives. Assisting ATF was the Blaine County Narcotics Enforcement Team, Idaho State Police and U.S. Immigration and Customs Enforcement. Villegas-Gamez was originally charged with seven counts of distribution of methamphetamine and three counts of illegal possession of a firearm. He pleaded guilty to a single count of distribution of methamphetamine in federal court in May in exchange for the other charges being dismissed. He has remained in federal custody in Boise since his arrest.